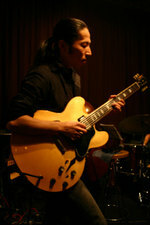 Takumi Seino is one of the most active independent jazz musicians in Japan. He is a graduate of the prestigious Berklee College of Music, having to his credit a lot of awards, such as the title of Best Guitarist awarded annually by Yamaha. So far published several albums branded with his name, recorded in various configurations. Among cooperating with Takumi Seino musicians, it is worth mentioning such names such as: bassists Blake Newman and Jeremy Stratton, drummers Scott Goulding and Larry Marshall (shared albums: '' Old Red Chair On The Porch ', 2012 and' 'Flower Flows' , 2013), pianist and saxophonist David Sinclair Ryosuke Hashizume (known for its delicious plate '' Acoustic Fluid ', 2012) and pianist Takashi Kudo (known from the album' 'Gratitude', 2011). Takumi Seino over the years appeared in such compositions, among others, formation as Khamsin Six North, EBA, Eiichiro Arasaki Big Band, Next Order or create your own Drops Trio with bassist and drummer Osamu Mihara Hiroshi Matsuda. It was in the last of these warehouses was recorded live album "Mood for Red," which is a collection of tracks made ​​in July and September 2009 in the Big Apple club. The album filled with four new songs and guitarist, created by the entire trio in real time, thrilling improvisations. 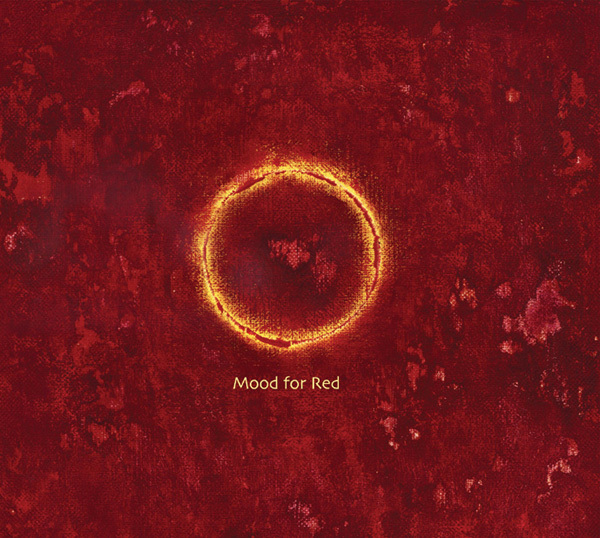 Opening the album title composition "Mood for Red" introduces us to the atmosphere very strongly associated with the traditional concept of a jazz trio. It is also one of the finest compositions Takumi Seino what I was able to meet six of his albums that I have in my collection. An intriguing bass lines and subdued drum parts perfectly complement the guitar passages leading soaked with progressive overtones. 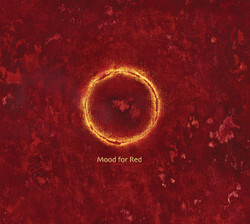 "Mood for Red" is also simply beautiful melody, referring to the finest achievements of jazz music. A more sophisticated design is characterized by extensive melodic theme "A man holding the apple," and climate nostalgic, dreamy ballads dominated the teamatu "Half of it". In the latter focuses attention on yourself endearing gentleness lot of bass, for which it is responsible Osamu Mihara. It is worth mentioning that in 2009 when he realized discussed at this point the album "Mood for Red", Mihara with Takumi Seino appeared on elapsed board formation Words of Forest: "It's Raining Over There." full of turmoil pace and real fireworks of emotion discernible in parts of each instrument. The five other fragments of plates built on free improvisation, shows the unique power Drops Trio based on an unusual agreement and the unconditional trust of music each with instrumentalists to others. Excellent interaction and individual lots of paramount surprise even the "secret garden", when Osamu Mihara creates a unique bass playing arcade supported rozhulaną Hiroshi Matsuda on drums. Born in 1956, drummer composition Drops Trio more inquisitive listeners rightly associate can rock formation Southern All Stars, successfully operating to this day since the mid 70s. During an impromptu "Glued up back to back," Takumi Seino reaches acoustic guitar after once again proving its versatility and unique stylistic virtuosity being placed on the border of flamenco. meticulously prepared and carefully designed compositions to successfully side by side with kilkuminutowymi improvised fragments, making the whole plate which had a great listen.